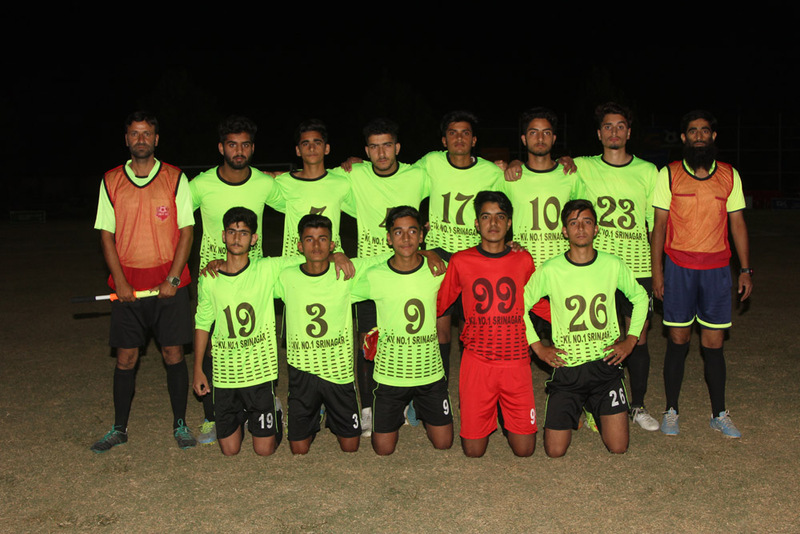 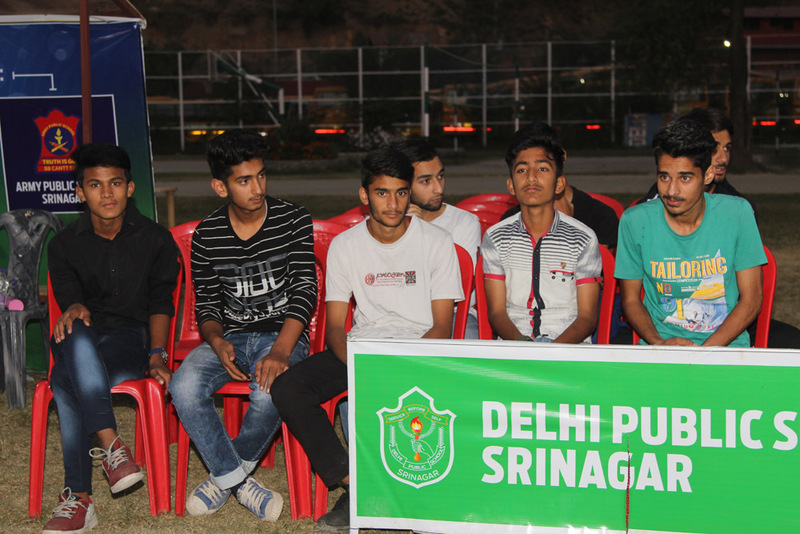 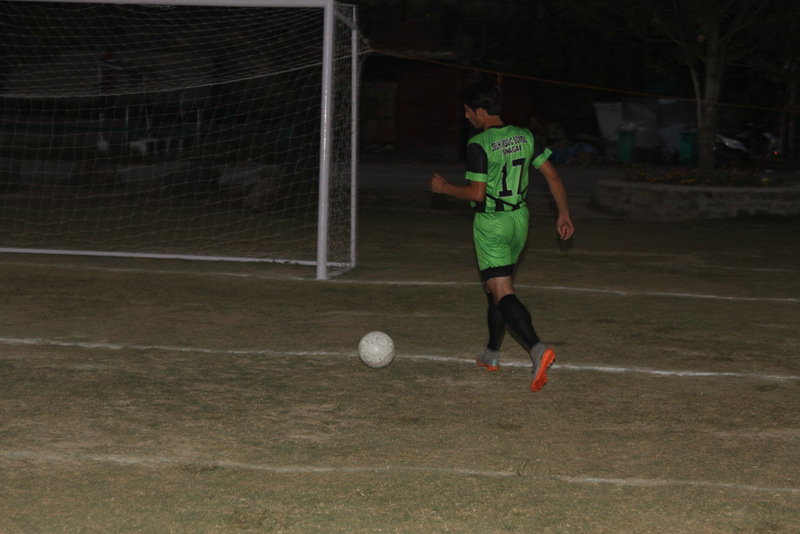 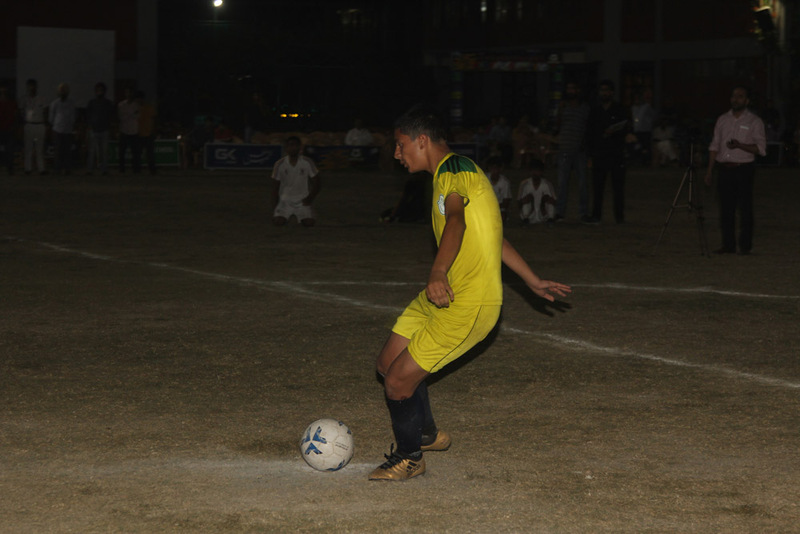 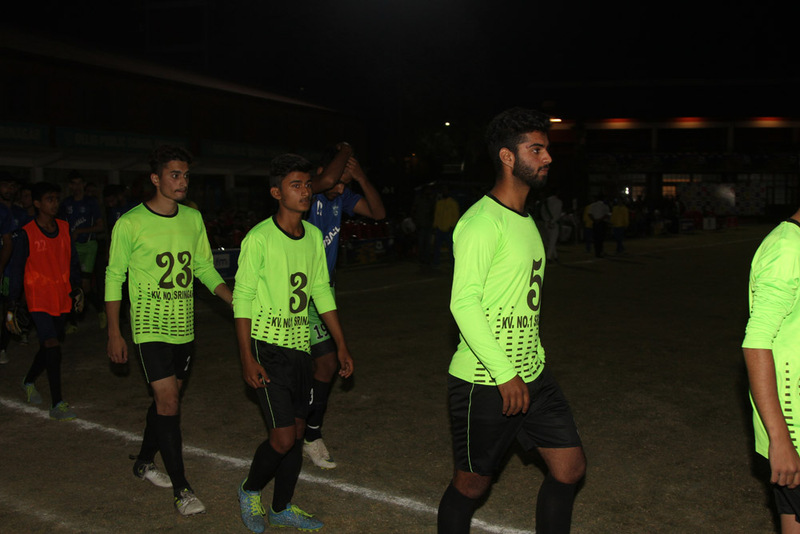 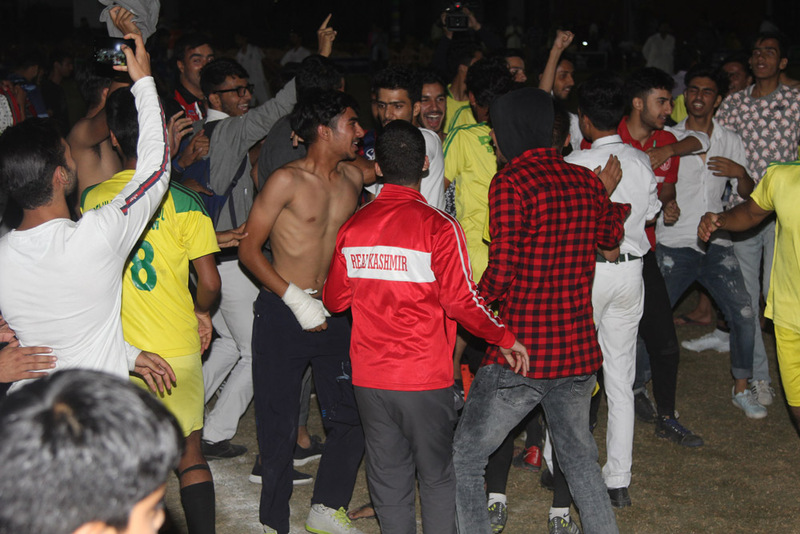 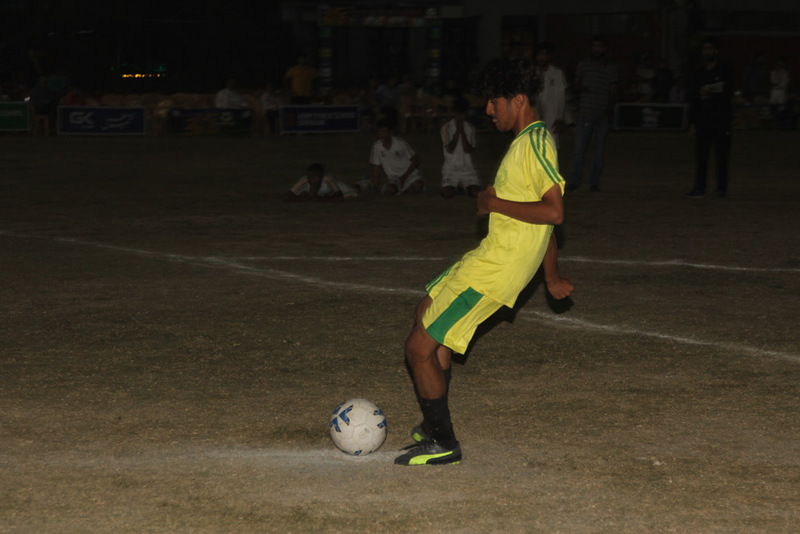 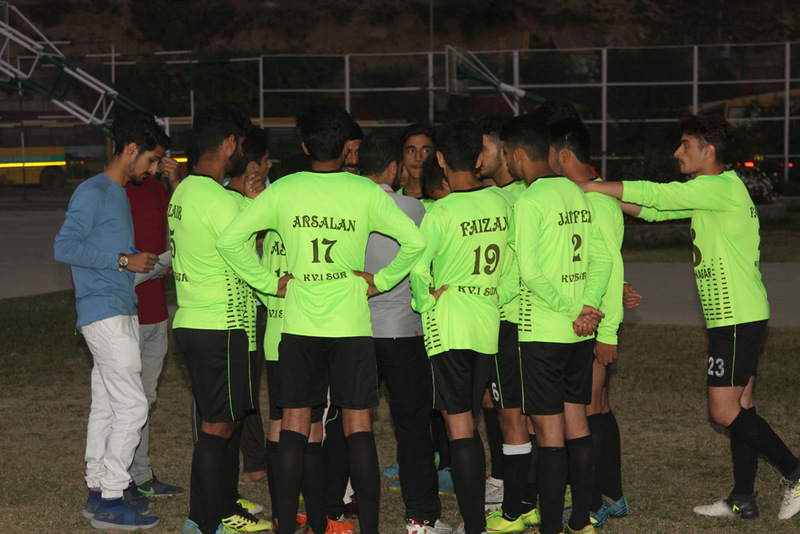 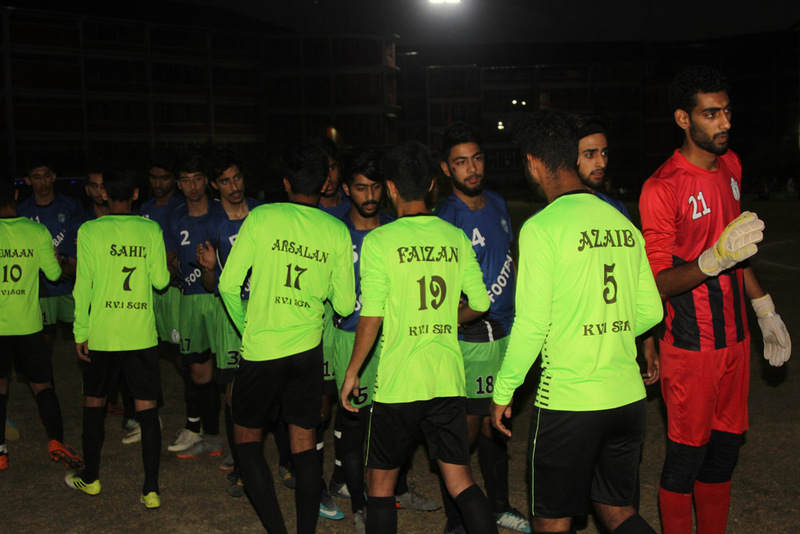 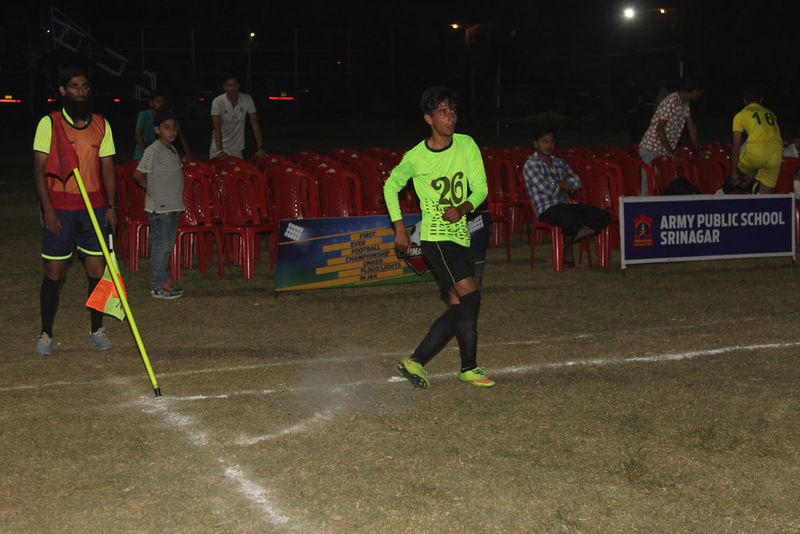 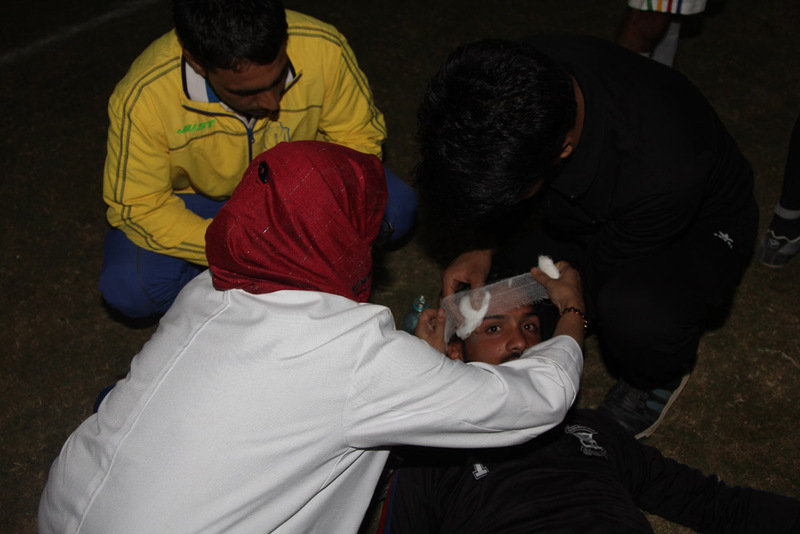 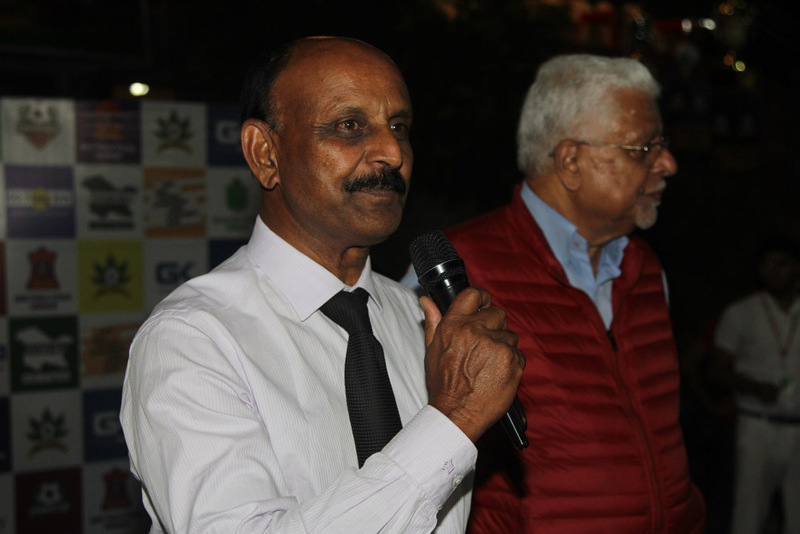 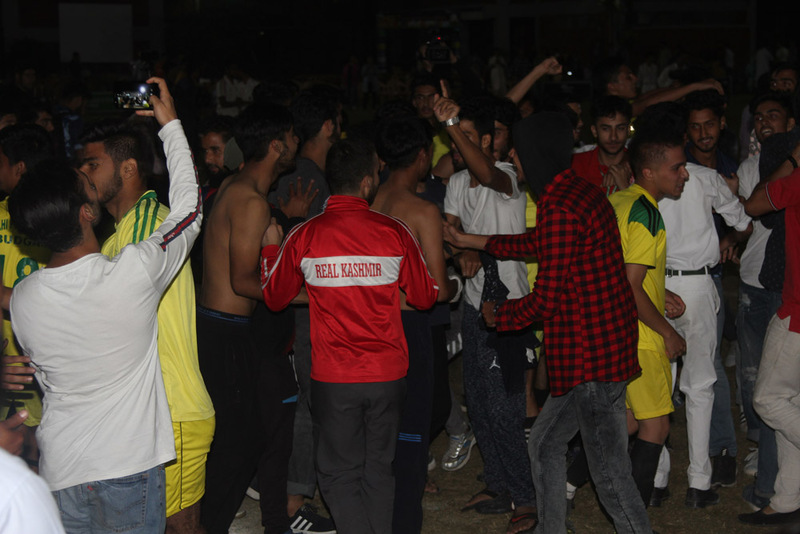 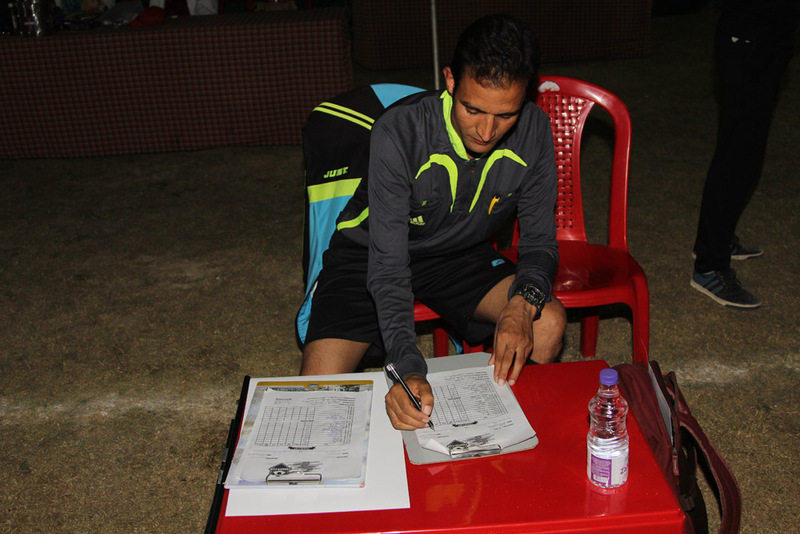 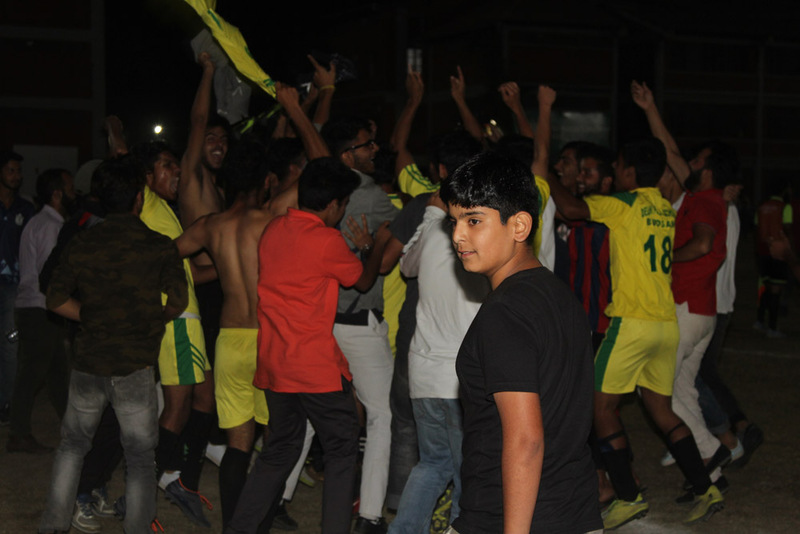 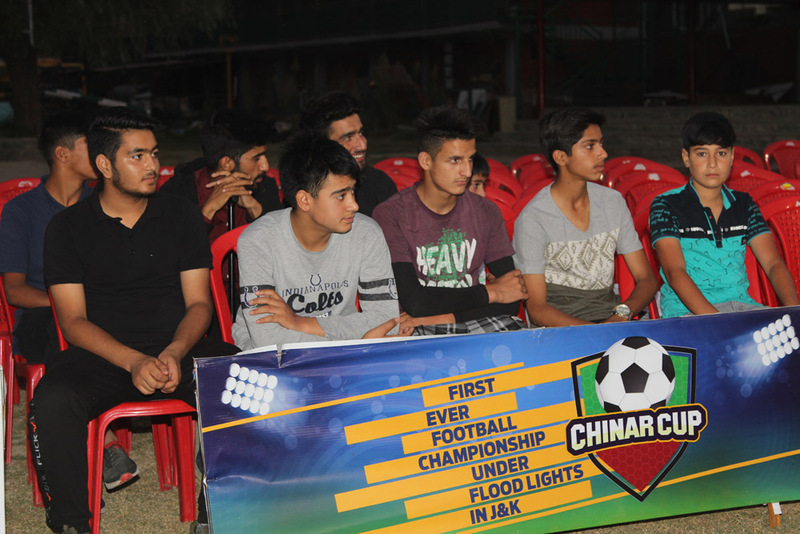 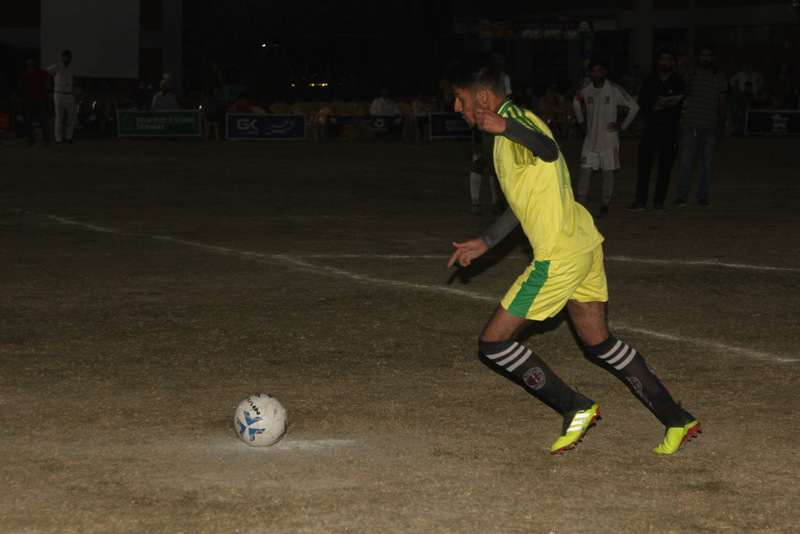 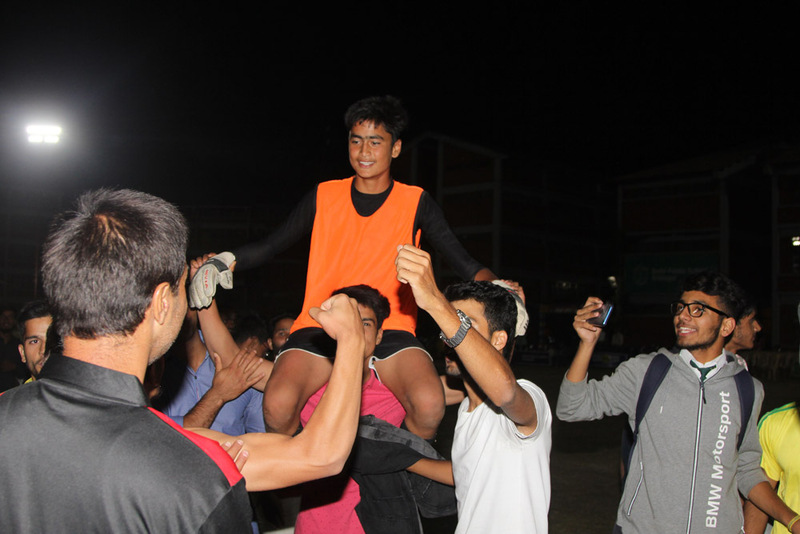 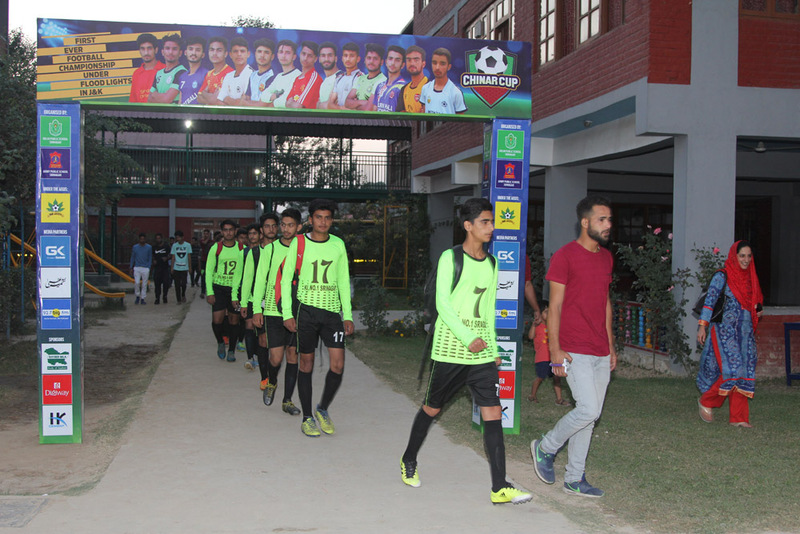 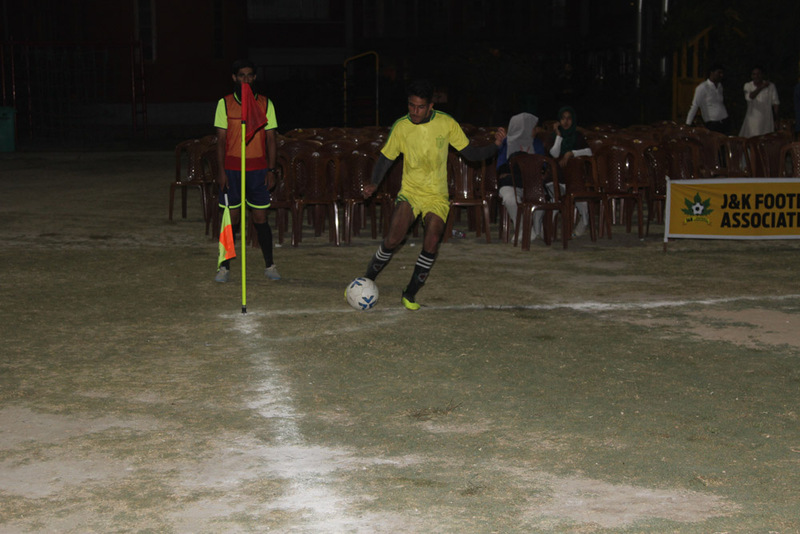 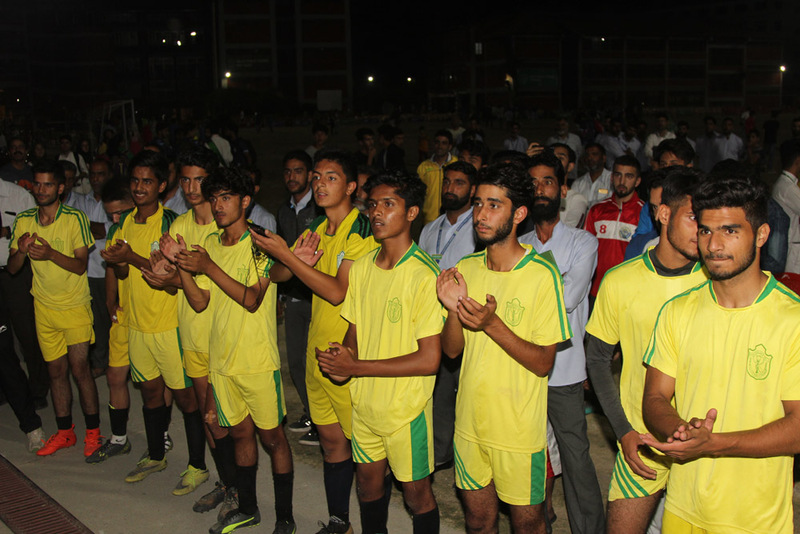 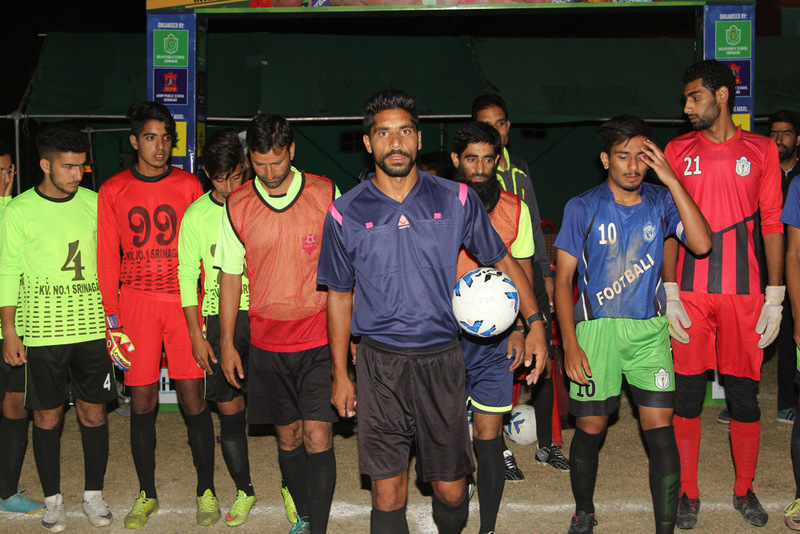 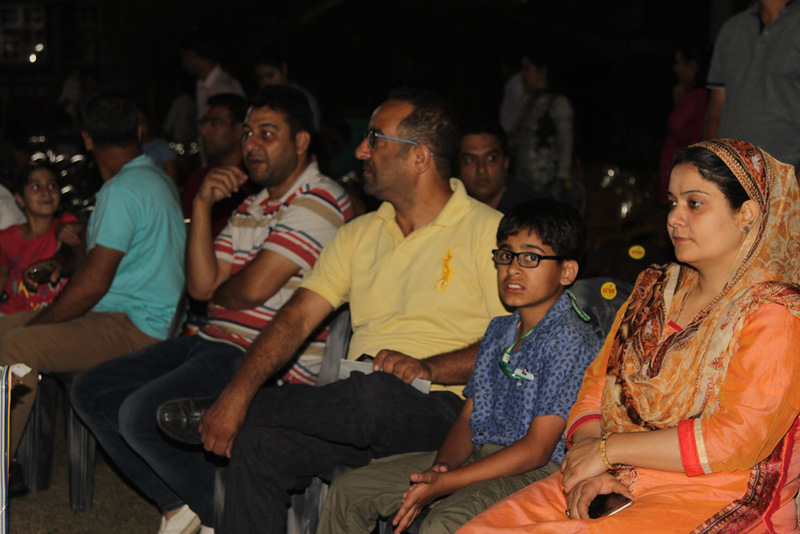 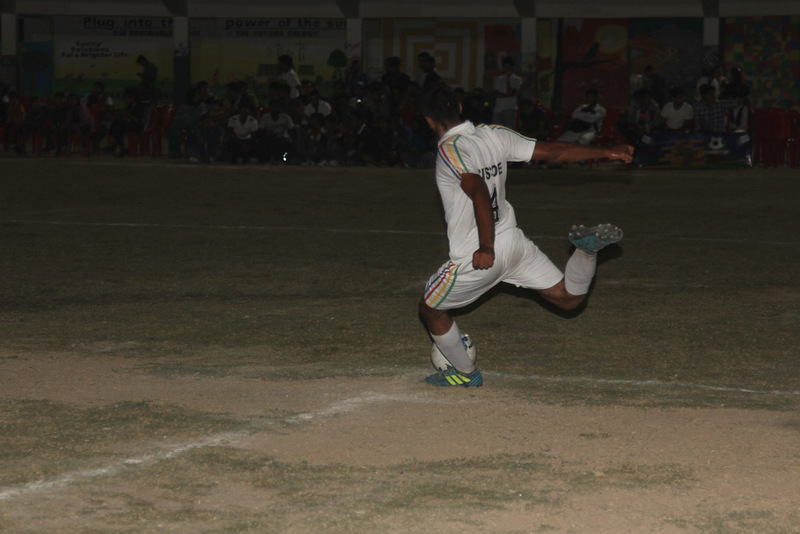 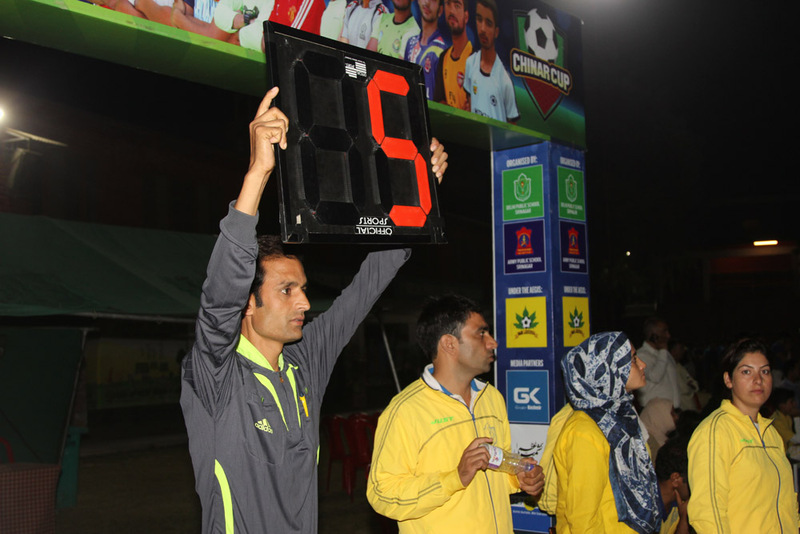 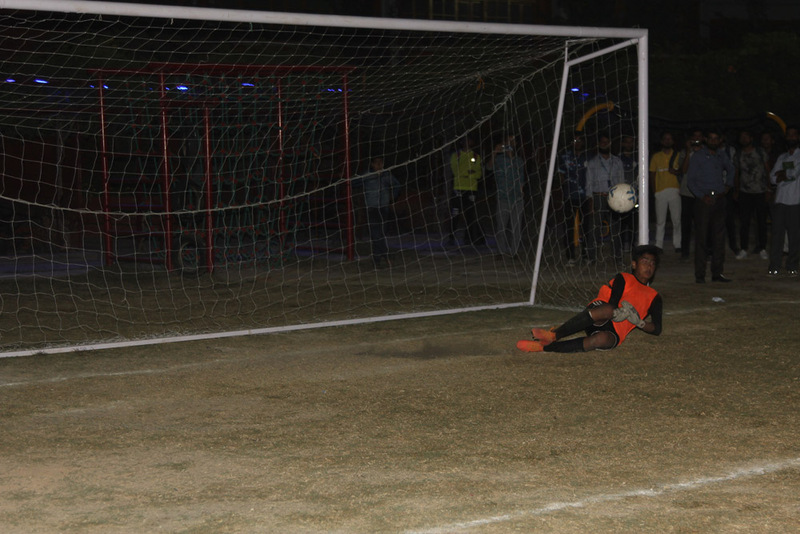 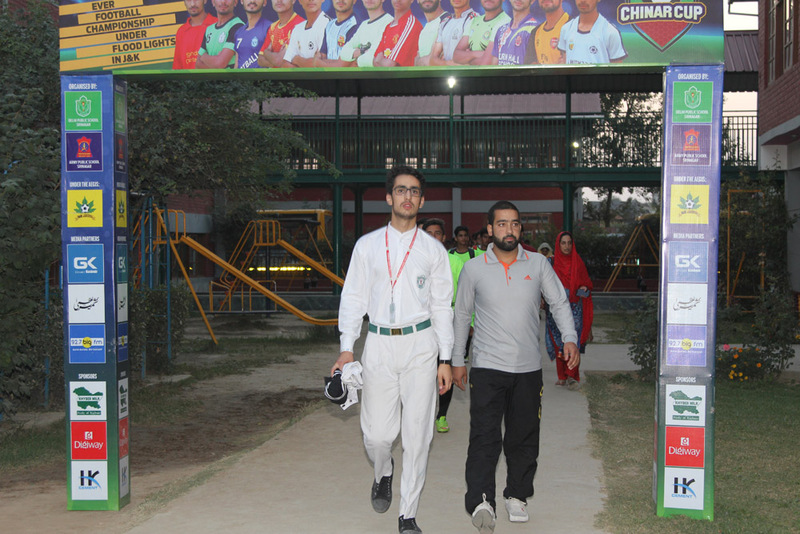 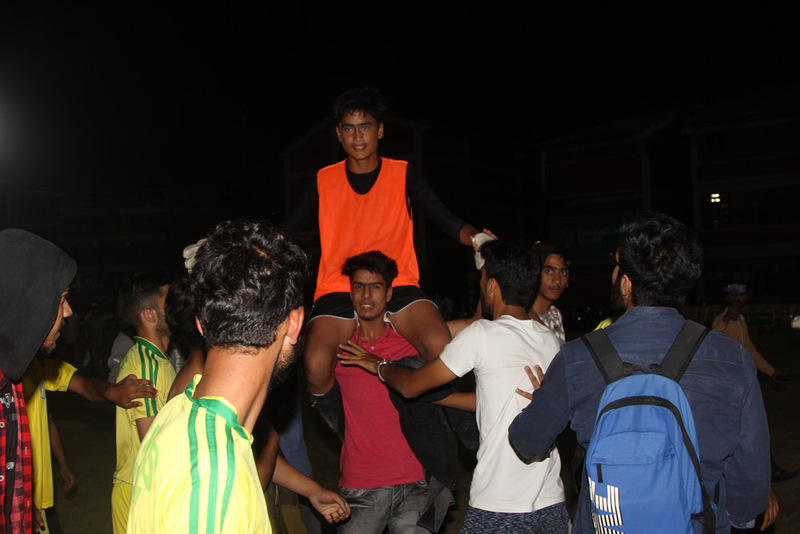 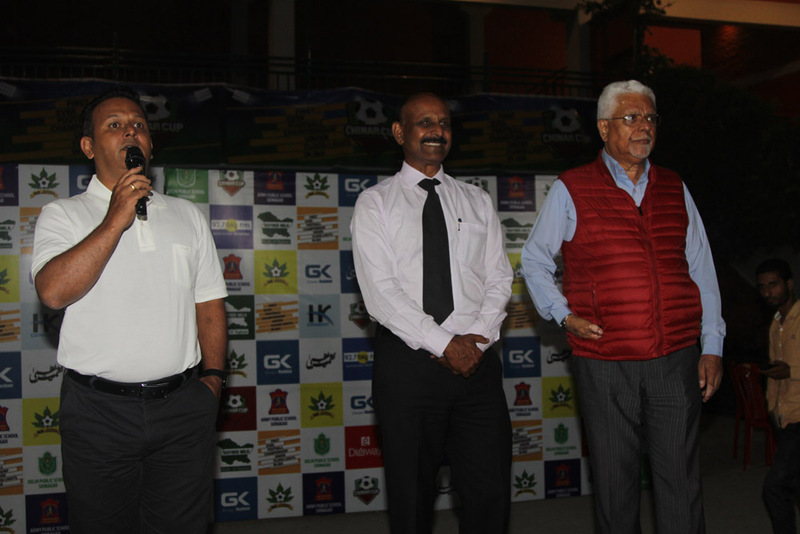 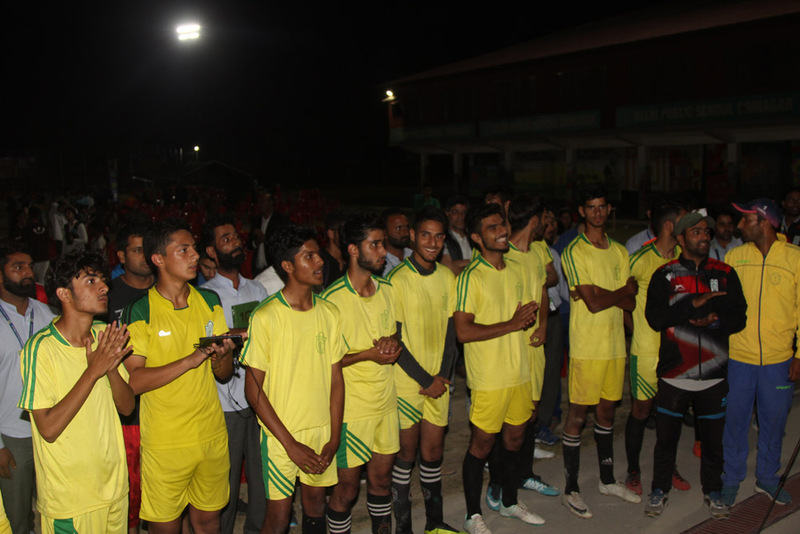 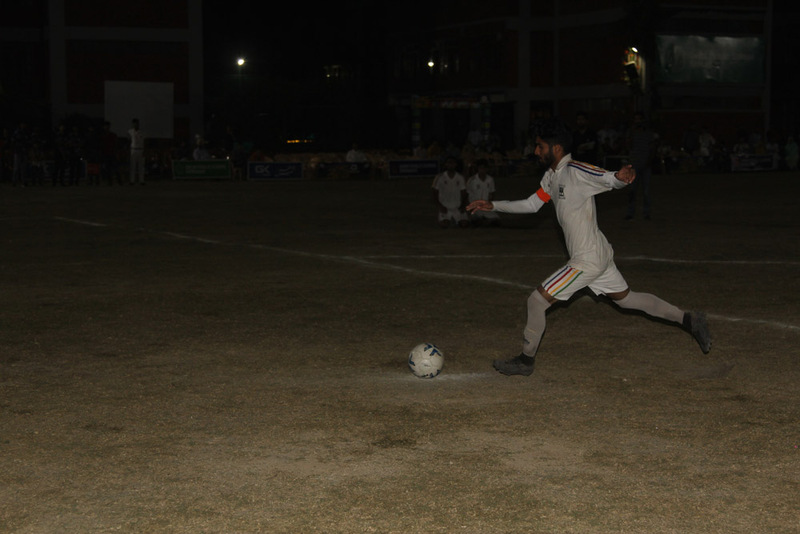 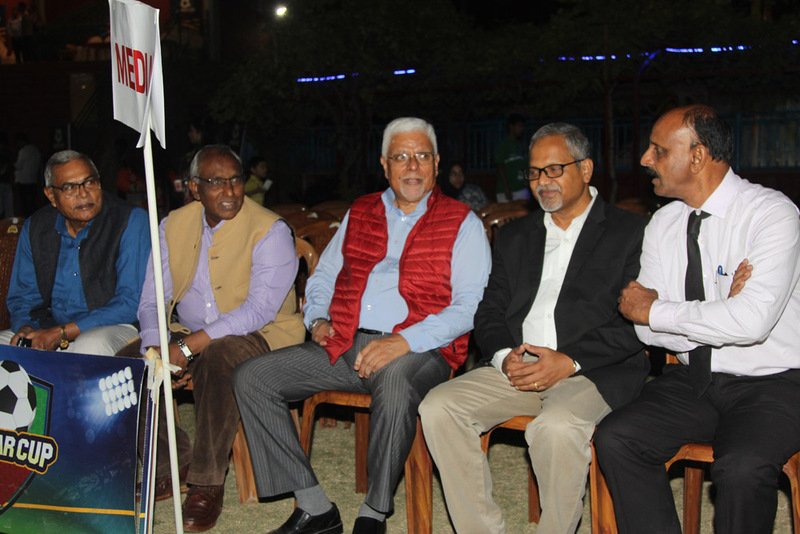 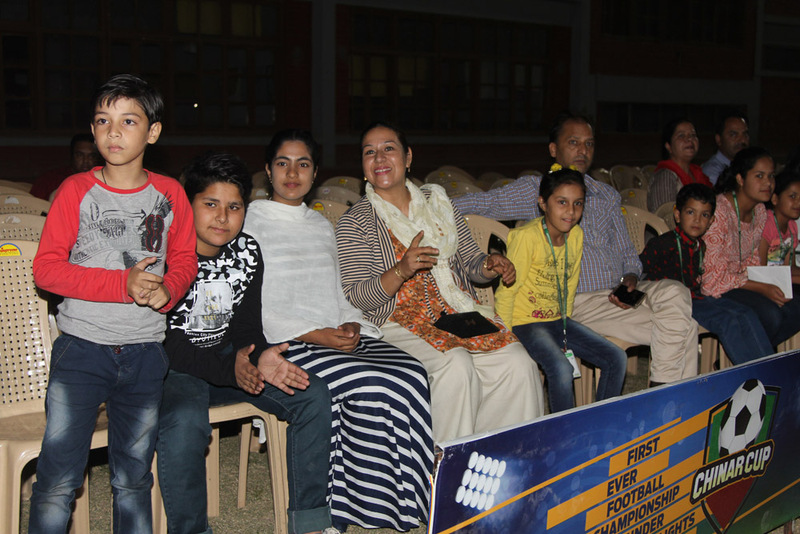 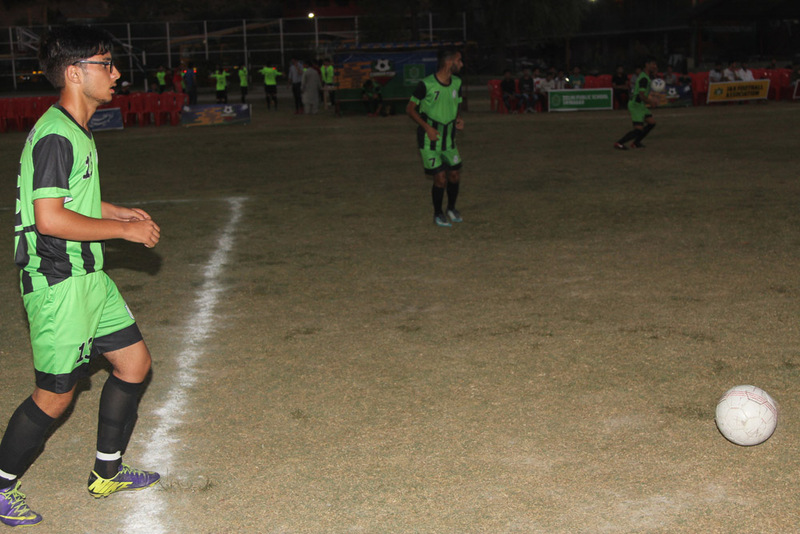 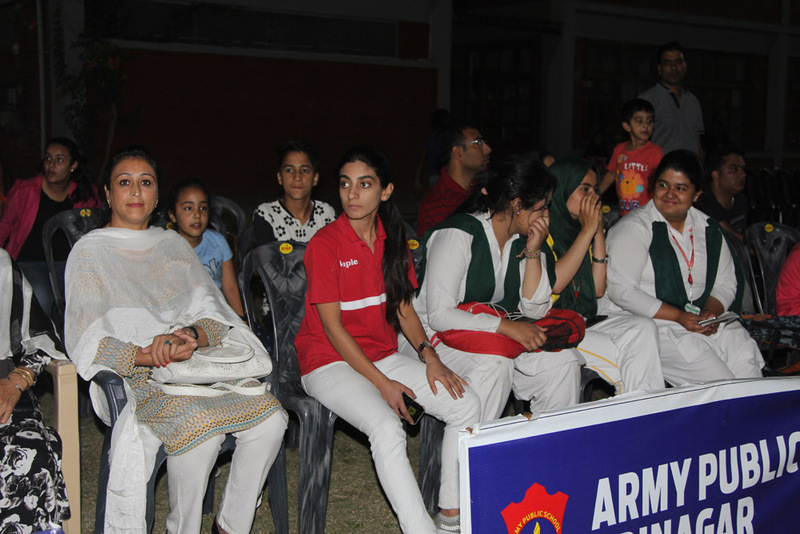 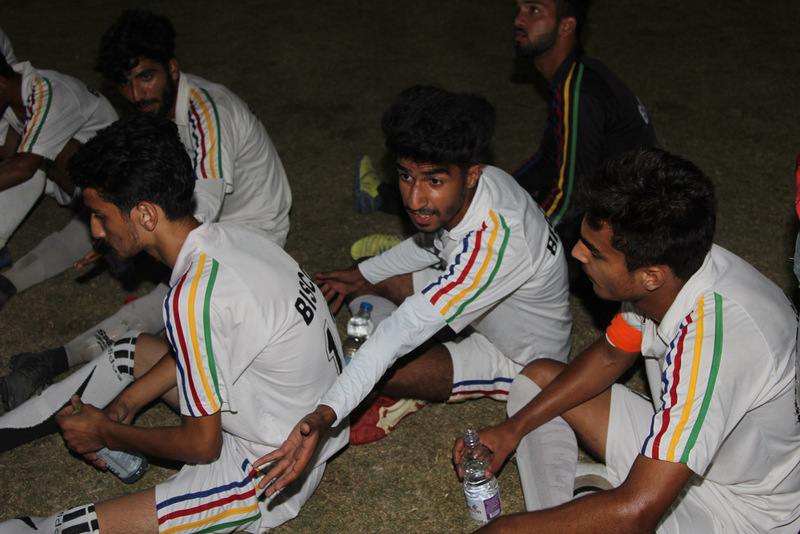 The quarter finals of ongoing first of its kind night football tournament ‘Chinar Cup’ J&K were held at DPS Srinagar. 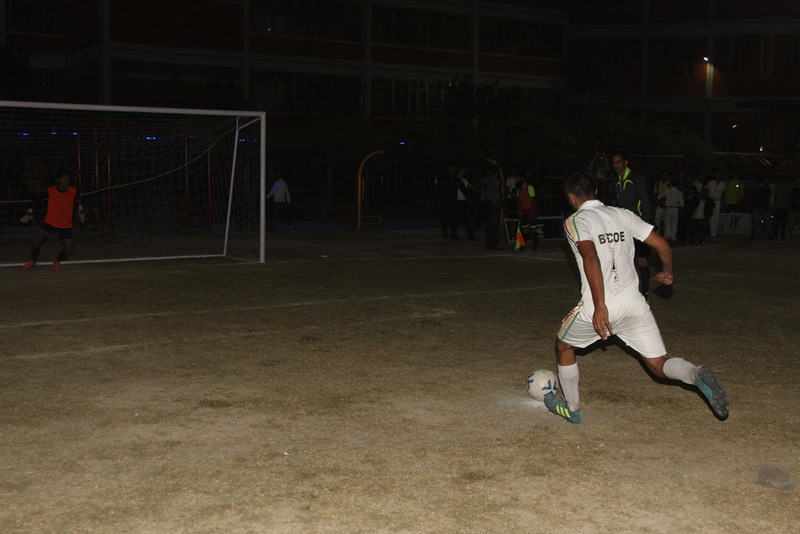 The first quarter final match of chinar cup was played between DPS A and KV NO 1. 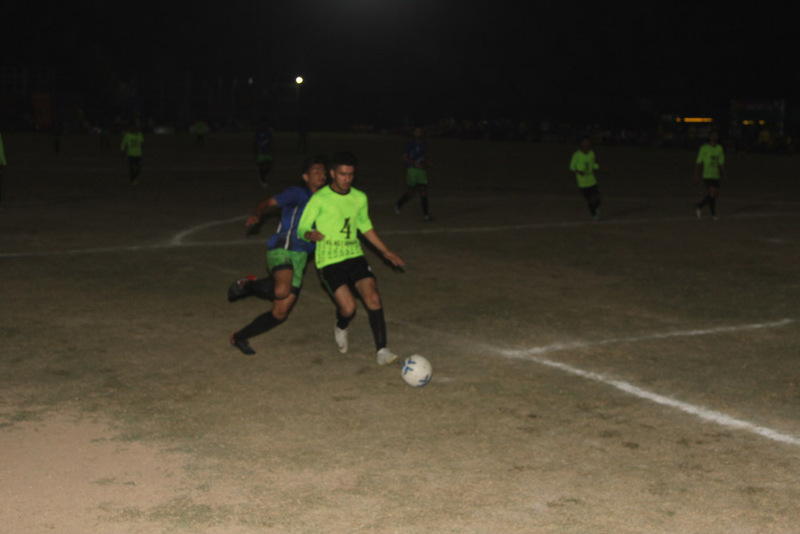 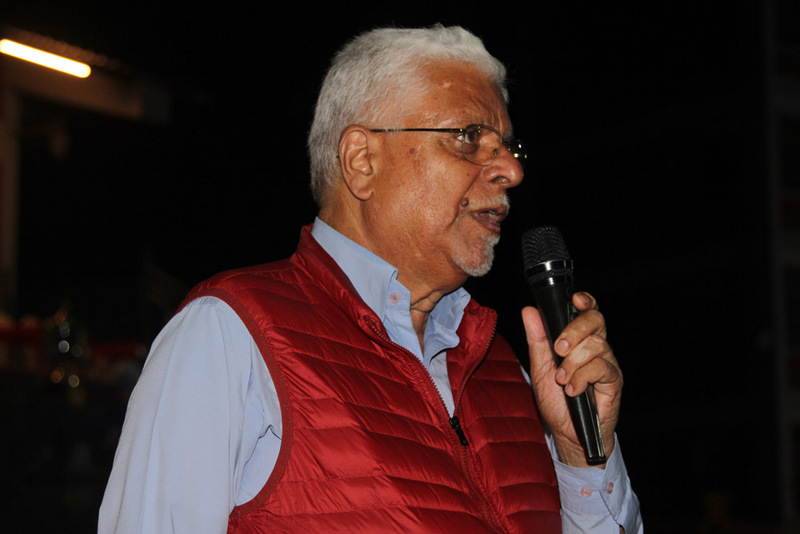 It was attritional football at best as both teams fought hard. 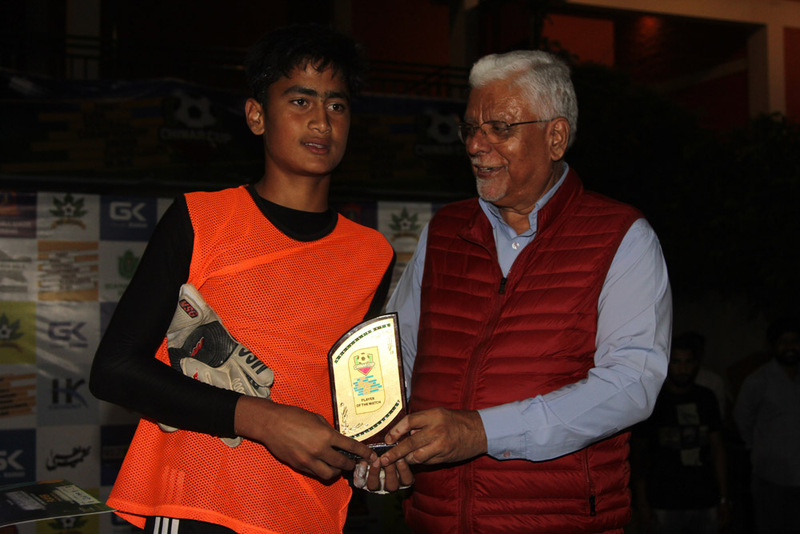 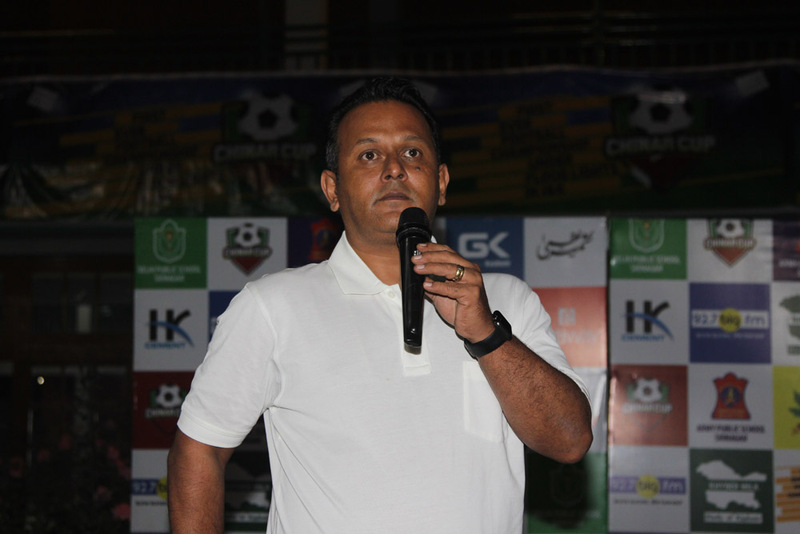 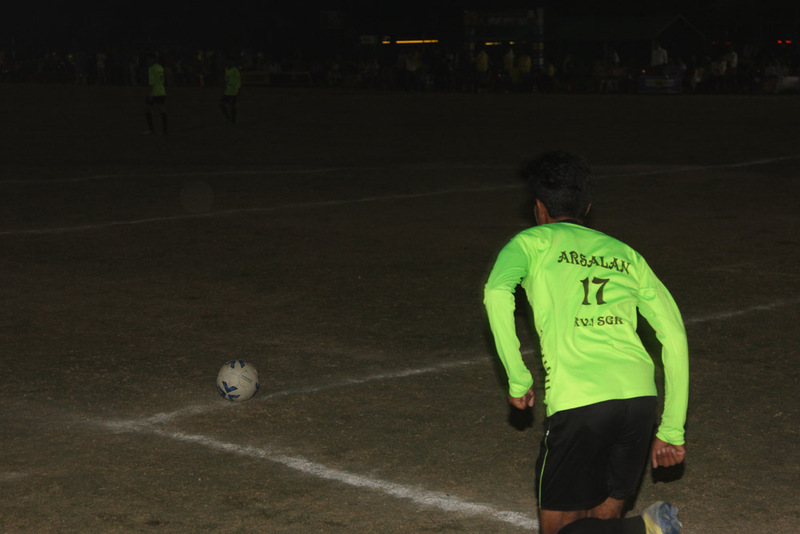 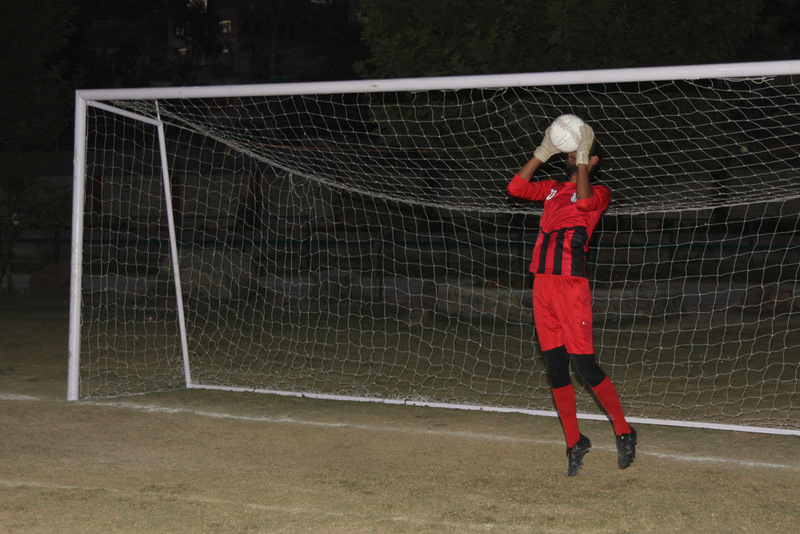 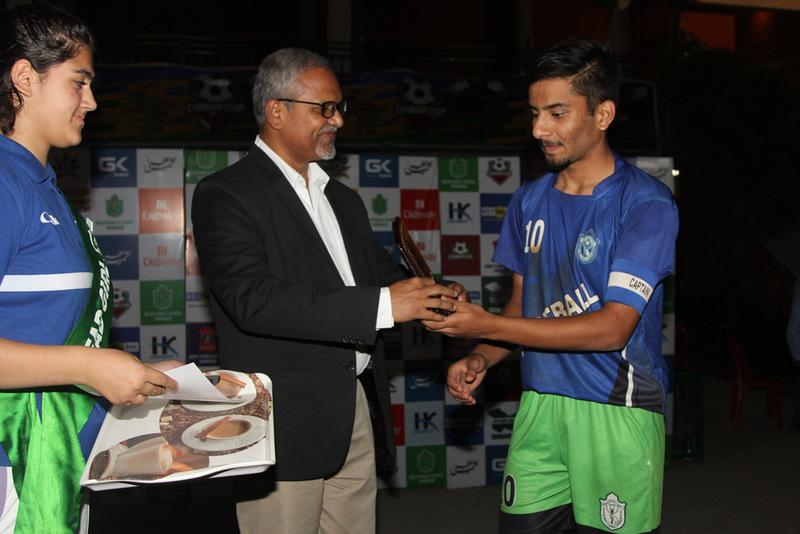 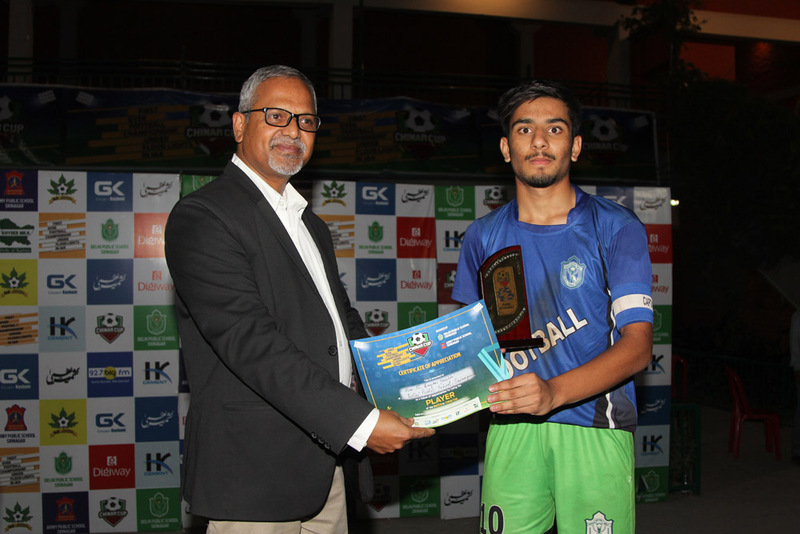 In the end DPS prevailed by a single goal scored by Aihyaan who was awarded the Man on the Match award. 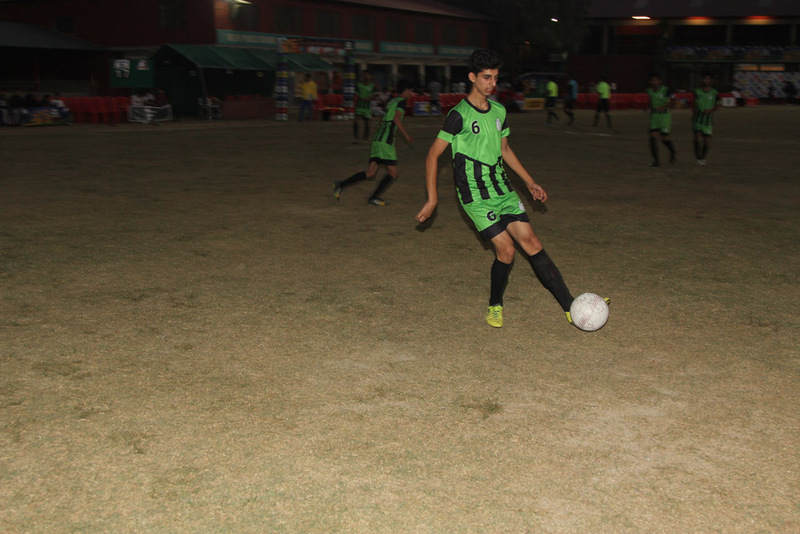 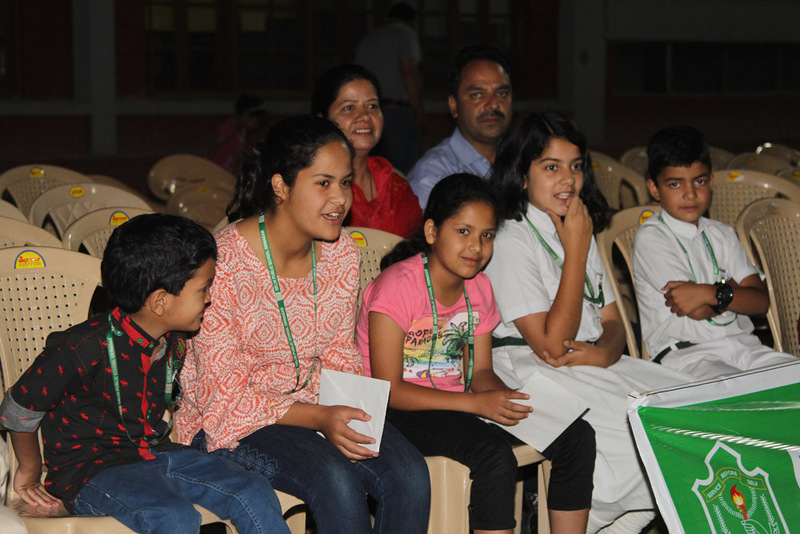 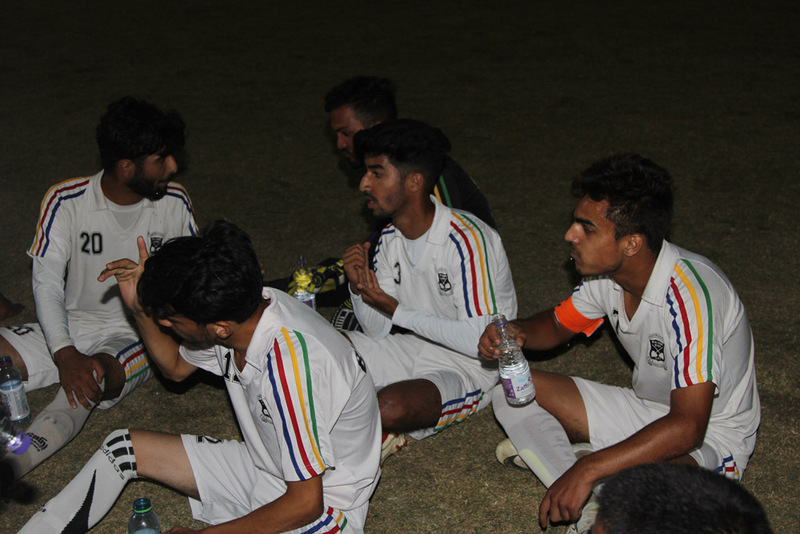 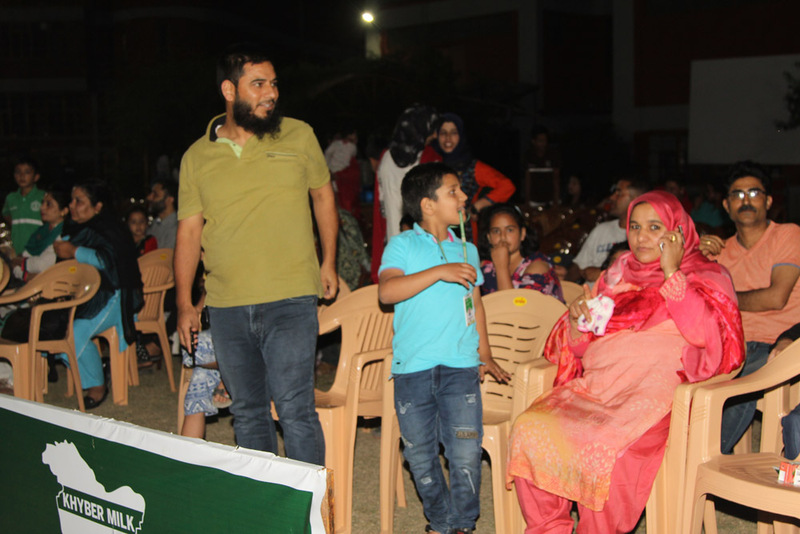 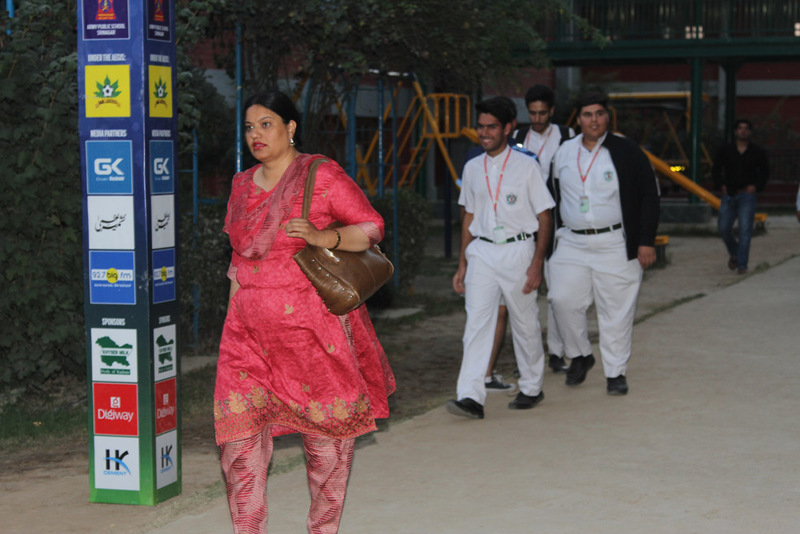 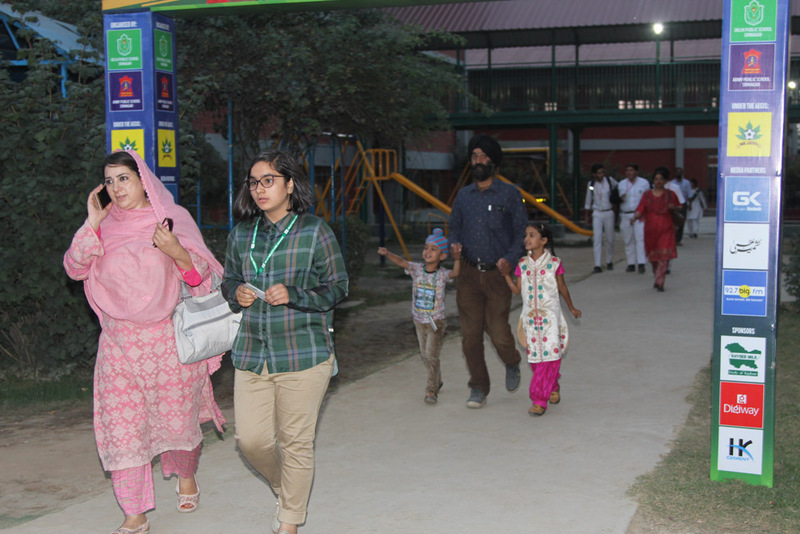 The second quarter final match was played between DPS Budgam and Tyndale Biscoe. 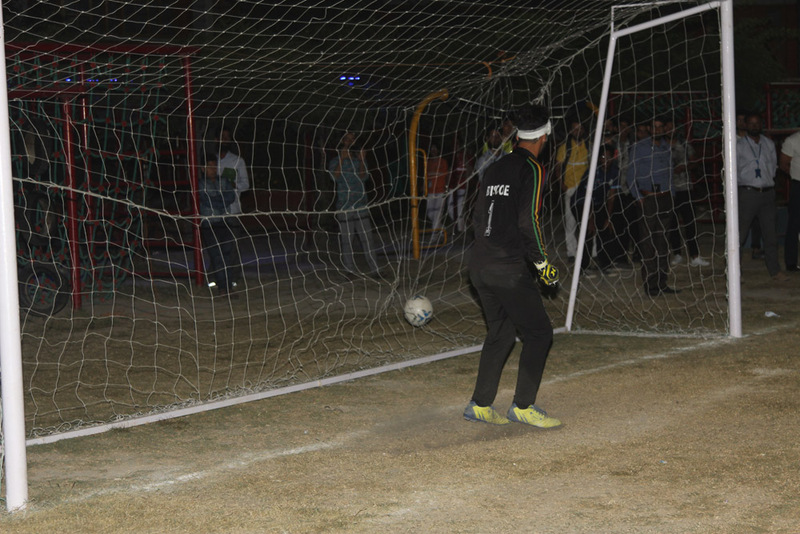 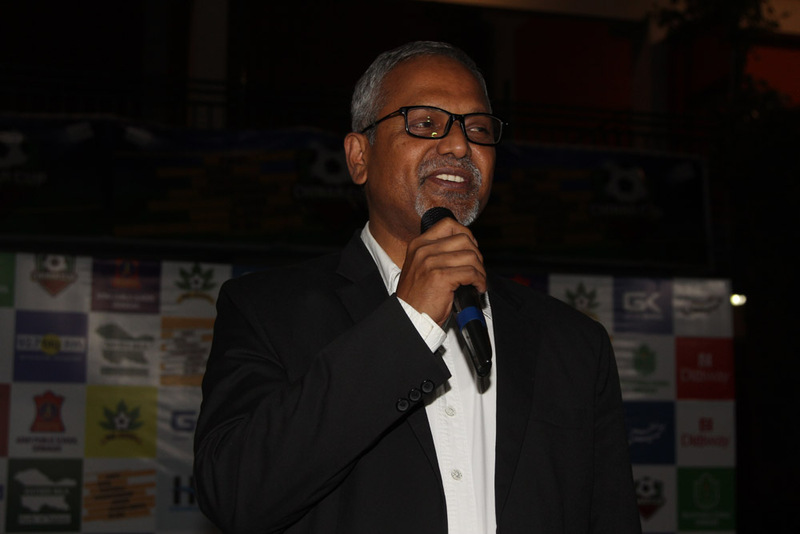 The match was again closely fought and decided on penalties. 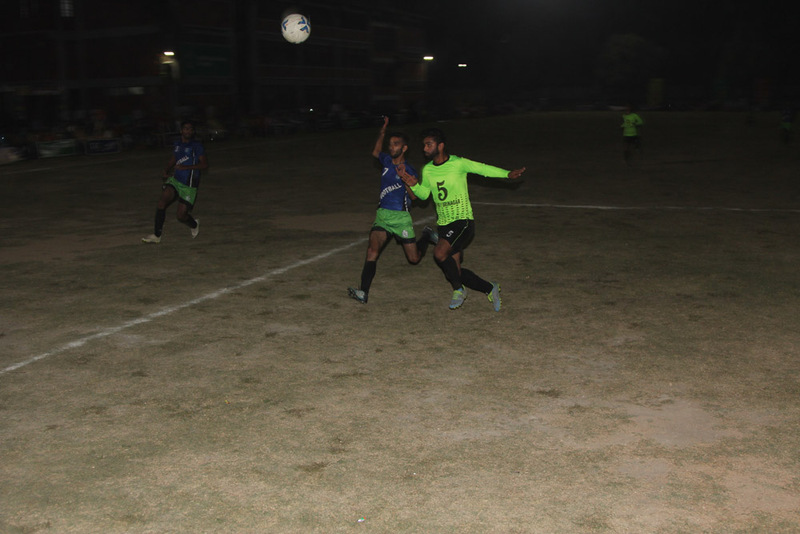 Both teams were locked on one goal each after full time as they put on an excellent demonstration of attacking football. 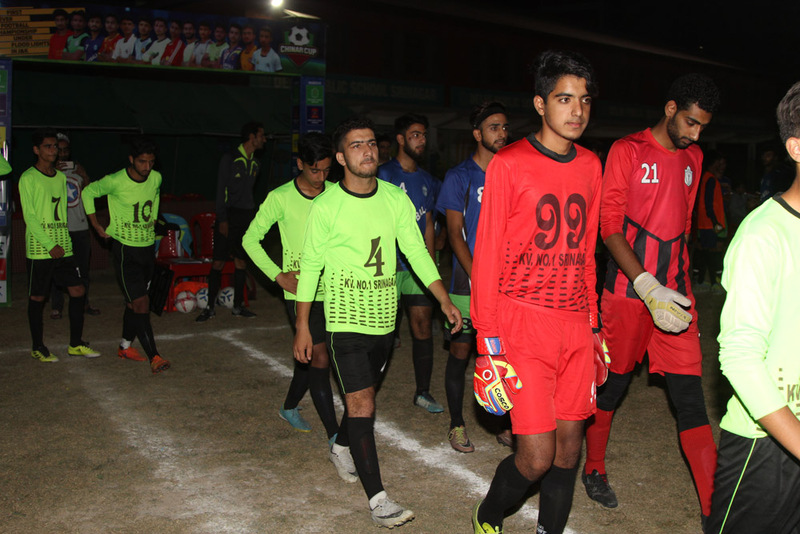 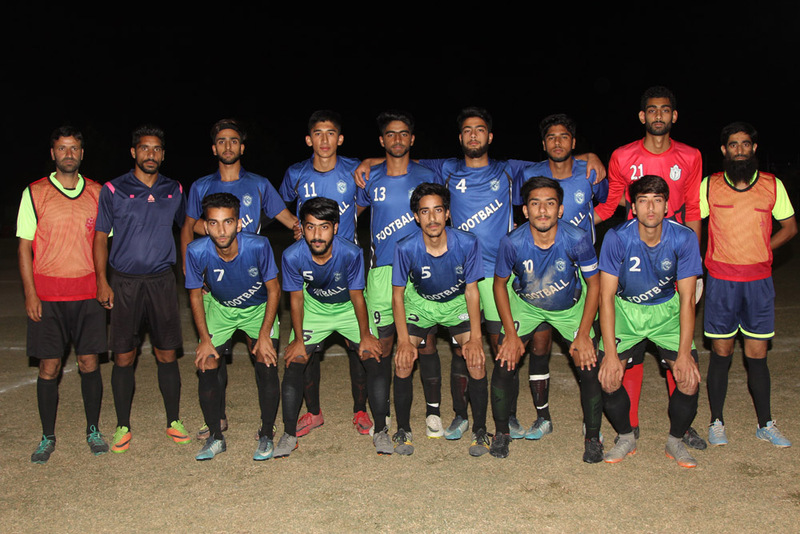 Eventually, DPS Budgam prevailed over their opponents by converting 4 penalties into goals, while Biscoe could only manage three. 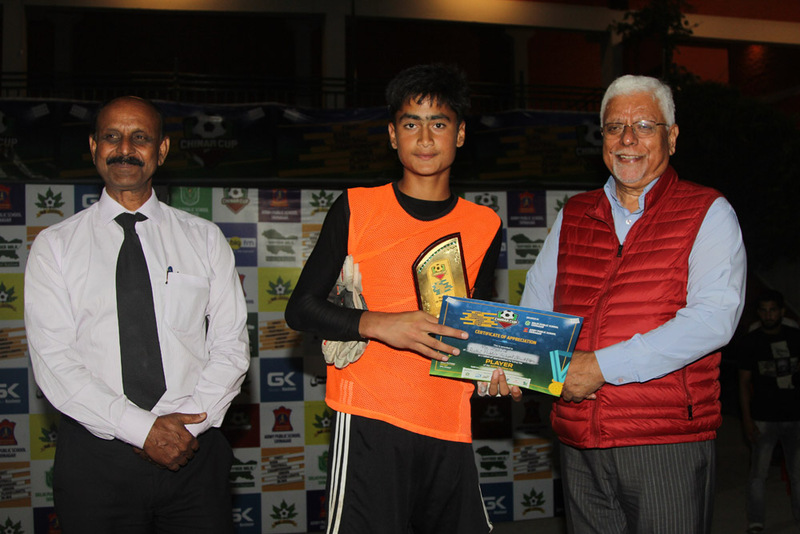 Zahid of DPS Budgam was chosen as the Man of the Match.